The University of KwaZulu-Natal (UKZN) was formed on 1st January 2004 as a result of the merger between the University of Durban-Westville and the University of Natal. The new University brought together the rich histories of both former universities which encompass disadvantage and advantage respectively. The two KwaZulu-Natal universities were among the first set of institutions to be merged in 2004 as part of government reform aimed at reconfiguring and restructuring higher education. The resulting merged institution is a large and complex contact university. UKZN has 5 campuses in two major cities, four in Durban and one in Pietermaritzburg, with a total student population of approximately 42000, 20% of whom are postgraduates, and a total staff complement of approximately 4300. The internationalisation of the university is focused primarily on its postgraduate enrolments which are 14% of the total postgraduate enrolments while international undergraduate enrolments comprise only 4% of the total undergraduate enrolments. UKZN adopted a college model as its governance organizational structure for its academic and administrative systems. It established 4 Colleges each headed by a Deputy Vice-Chancellor: the College of Agriculture, Engineering and Science; the College of Health Sciences; the College of Humanities; and the College of Law and Management Studies. The total number of Schools in UKZN is 52 although this number will reduce to approximately 20 through further reconfiguration and consolidation over the coming 12 months. In addition, there are two university-wide Deputy Vice-Chancellors of Research and of Teaching and Learning. UKZN is classified by the national Department of Science and Technology as one of 5 research-led and research-intensive Universities in South Africa (Kahn M 2006). Over the past 7 years, UKZN has been consistently rated the 2nd or 3rd most research-productive university (as measured by the Department of Higher Education and Training SAPSE Units) of the 23 universities. It has the best instruction and research staff and student equity profile of all the research-intensive universities according to Education Statistics in South Africa (Department of Education 2007). UKZN achieved all these while undergoing a merger and a major transformation through prioritising diversity as a critical factor to excellence and equity. In total, 40% of staff time is allocated to research for all academic staff at UKZN. However, approximately 15% of all full time equivalent academic staff members are exclusively research staff. The data for the period 2004-2005 needs to be interpreted cautiously. Whilst UKZN was legally a single institution, the data for this period was largely managed by the two separate systems of the legacy institutions. 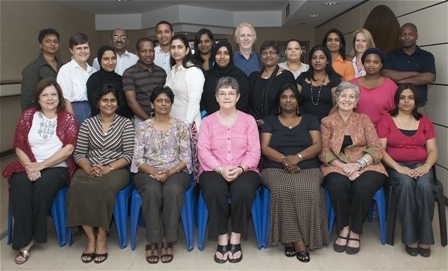 During 2004-2005, staff and schools were moved and consolidated on the different campuses. It was also during this period that harmonization of policies and data into a single set of institutional data from the two separate IT systems was undertaken. 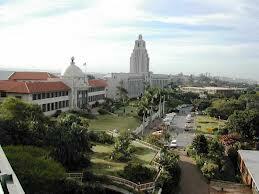 The University of Durban-Westville was established in the 1960s as the University College for Indians on Salisbury Island in Durban Bay. Student numbers throughout the 1960s were low as a result of the Congress Alliances policy of shunning apartheid structures. This policy gave way in the 1980s to a strategy of education under protest which sought to transform apartheid institutions into sites of struggle. Student numbers grew rapidly and in 1971, the College was granted University status. 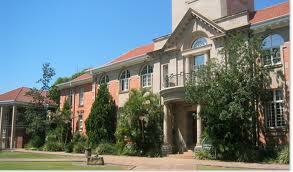 The following year, the newly-named University of Durban-Westville moved into its modern campus in Westville and was a site of major anti-apartheid struggle. UDW became an autonomous institution in 1984, opening up to students of all races. The two KwaZulu-Natal universities were among the first batch of South African institutions to merge in 2004 in accordance with the government higher educational restructuring plans that will eventually see the number of higher educational institutions in South Africa reduced from 36 to 21. Confirmed by a Cabinet decision in December 2002, the mergers are the culmination of a wide-ranging consultative process on the restructuring of the Higher Education Sector that began in the early 1990s. To be the premier university of African scholarship. A truly South African university that is academically excellent, innovative in research, critically engaged with society and demographically representative, redressing the disadvantages, inequities and imbalances of the past. Actively encourage and respect the right of all scholars, staff and students to engage in critical inquiry, independent research, intellectual discourse and public debate in a spirit of responsibility and accountability, in accordance with the principles of academic freedom and institutional autonomy. Promote access to learning that will expand educational and employment opportunities for all. community, through the generation and dissemination of knowledge and the production of socially-responsible graduates. Conduct ourselves according to the highest ethical standards, and provide education that promotes an awareness of sound ethical practice in a diverse society. Manage and run our institution in conscious awareness of the environment, and foster a culture of responsible, ethical and sustainable use of natural resources. Ensure effective governance through broad and inclusive participation,democratic representation, accountability, and transparency that serves as an example that contributes to building the democratic ethos of our country. Acknowledge the value of the individual by promoting the intellectual, social and personal well-being of staff and students through tolerance and respect for multilingualism, diverse cultures, religions and social values, and by fostering the realisation of each person full potential. the communities we serve in a manner that adds value and earns their respect,admiration and trust. knowledge that is both local and global in context, and defines UKZN as the premier university of African scholarship. To promote excellence in teaching and learning through creative and innovative curriculum design and development, pedagogical strategies, and assessment practices in accordance with the highest quality management principles. teachers, infrastructure and support services designed around their needs and producing well-educated, competent, sought-after graduates. To establish the University as an institution of choice that attracts and retains academic and support staff of the highest calibre by creating an intellectual environment that fosters and stimulates academic life, and a climate of organisational citizenship in which all staff recognise and understand their role in ensuring the success of the University. in a pragmatic and flexible manner. The College of Health Sciences is a multi-professional institution spread across three of the five campuses of the University of KwaZulu-Natal. Its excellent scholars function holistically, ethically and in a socially responsive manner within the African health care environment while actively engaging international collaboration and partnerships for education, research and service. Recognised as a Centre of Excellence in health professional education, research and community programmes, the College provides a unified and holistic approach to teaching at both undergraduate and postgraduate levels across three campuses. Located in the province of KwaZulu-Natal, the College's two faculties, the Faculty of Health Sciences and the Nelson R Mandela School of Medicine, serve 25 percent of South Africa's population resident in KwaZulu-Natal. 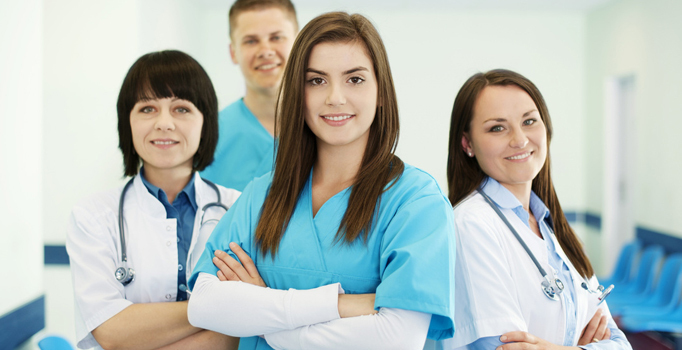 The College boasts among its staff some of the most eminent and respected names in medical and health sciences and academia. Publications in peer reviewed journals are impressive and continue to grow, so too is the authorship of scientific and health sciences books. The role of the Research Office is to support the University's pursuit of research at the highest international levels, by working in partnership with academics to secure, manage and increase funding from external organizations. Whether you are an academic wishing to apply for research funding, an administrator with a query about grant management, or an external organization wishing to collaborate with the University of KwaZulu-Natal, we look forward to offering help, advice and support. Two hundred and twenty three new health practitioners pledged to be ethical practitioners at the Faculty of Health Sciences annual Oath Taking and Awards Ceremony on the Westville campus on 8 December 2010. Parents and academics watched as students from the Disciplines of Audiology, Dental Therapy, Nursing, Occupational Therapy, Optometry, Pharmacy, Physiotherapy, Speech-Language Pathology and Sports Science (Biokinetics) took the oath. The event also acknowledged the academic excellence of health science students at the different stages of their studies with the presentation of some 60 sponsored awards. In her keynote address, Deputy Vice-Chancellor and Head of the College of Health Sciences Professor Leana Uys spoke of the significance of final year studentsparticipating in the oath taking ceremony.